As I was in a hurry anyways, I decided to leave it at that. Fast forward a few hours, to a different location: a pub. I was discussing IT problems with a friend, and at some point we got to firewalls. That's when I went "Bingo!" - this Vista machine has Privoxy installed, to "emulate" Firefox's Adblock extension (Privoxy does a few things more - check their Web site, it's free). 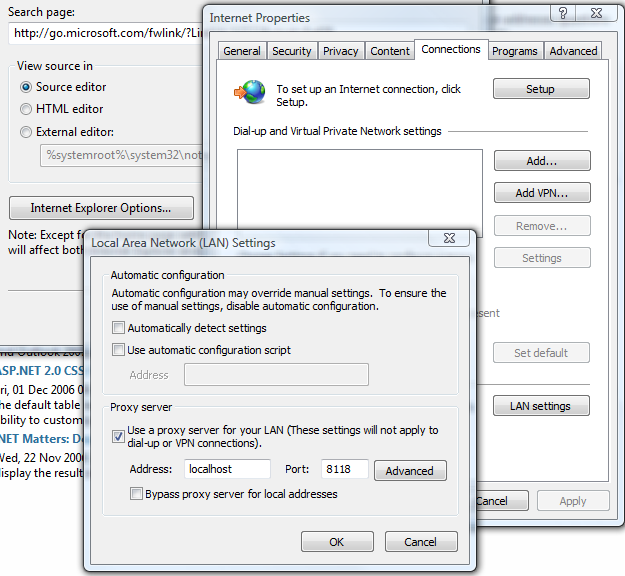 And IE7 is configured to use it as proxy server. 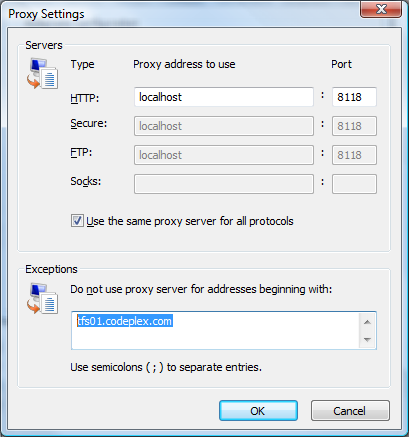 Note to self: The TFS client APIs use Internet Explorer settings when it comes to connecting to the Internet, and Privoxy positively strips requests of certain headers. Security does tend to get in the way. Nothing new here. I just gave StatSVN a try, which compiles statistics for Subversion repositories. 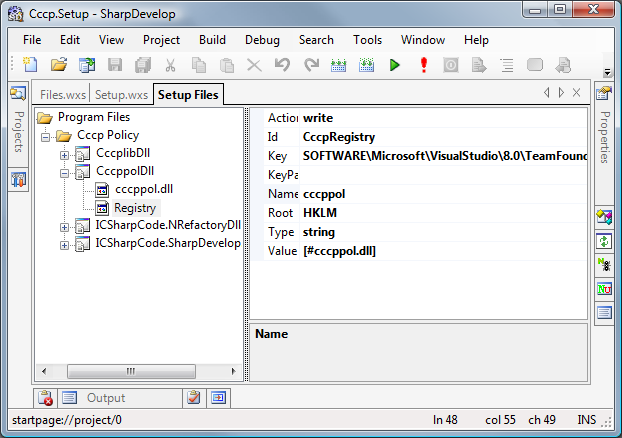 For my trial, I used the 2.1 branch of SharpDevelop - which, because only created a month ago - should create a small and manageable statistic to start out with. What do you need to get up and running with StatSVN (except, of course, StatSVN itself)? Well, the Subversion command line client (get it here), as well as Java. 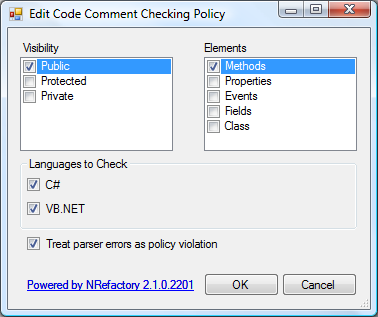 Working with StatSVN is really easy - simply follow the steps outlined in the readme and you can't go wrong - it even works nicely on Windows Vista. 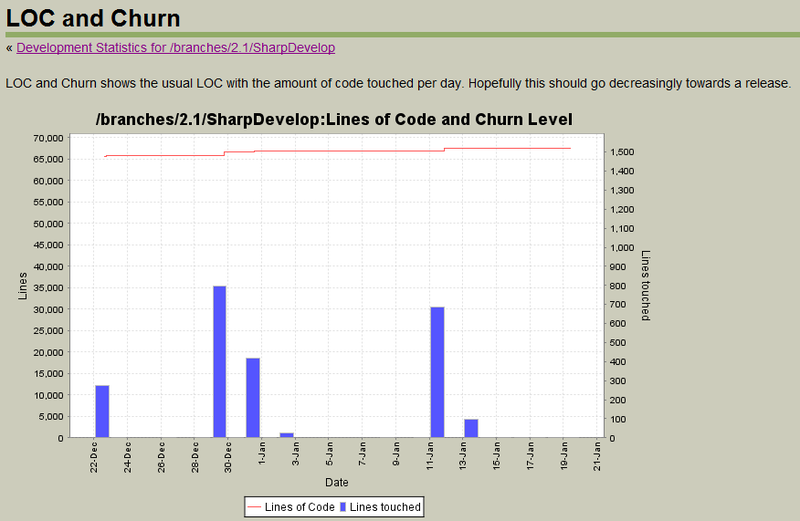 This branch was created from /trunk to only contain bug fixes from Beta 2 to release candidates and RTW. That's why there are spikes of activity, with no activity at other days. Also, not all developers are working on the branch, many are concentrating on developing features for the new version which lives in /trunk. Especially #1 I would rate as misleading and advertising that leaves a very bad taste in the mouth. 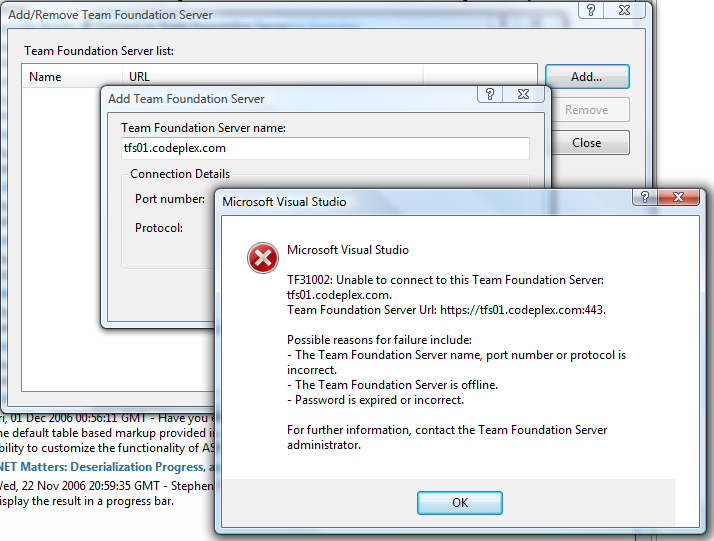 Yesterday I finished the first TFS / VSTS course of this year, and I had rebuilt my demo machine with TFS / VSTS SP1 and Office 2007. I have to say that Excel 2007 really shines when you slice & dice the TFS warehouse's cubes. 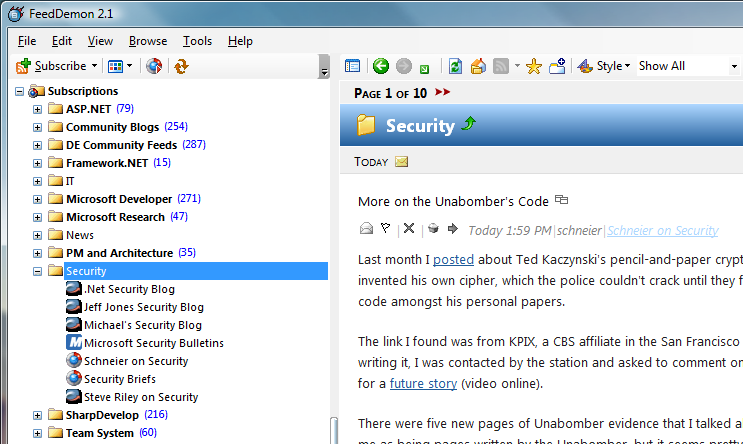 If you are in the PM business on projects, you definitely should upgrade to the new version of Office! 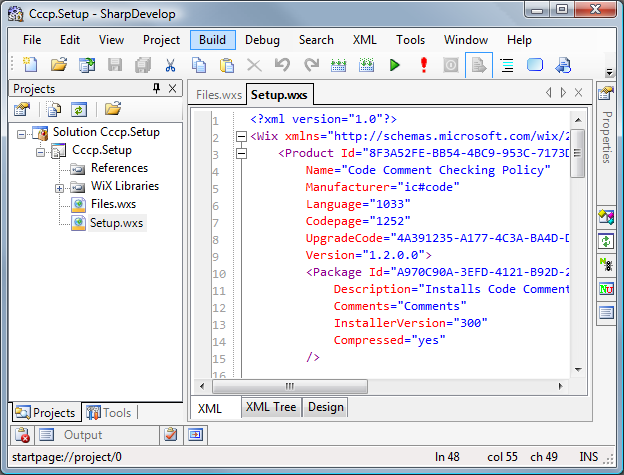 For the past couple of years, I had been using SharpReader - today, finally, I switched over to FeedDemon. It simply is faster, especially at the number of feeds I have subscribed. I have been re-awarded MVP for Visual Developer ASP/ASP.NET. 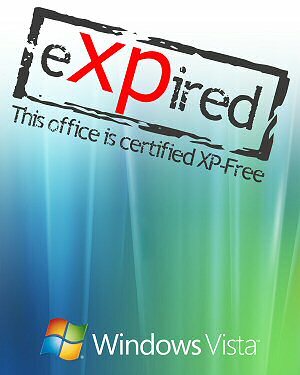 Now I can claim my office to be XP-free too (via eXPired Poster Available!) - the last victim of migration was my IBM X31.